In his second collection of stories, author and filmmaker R.W. 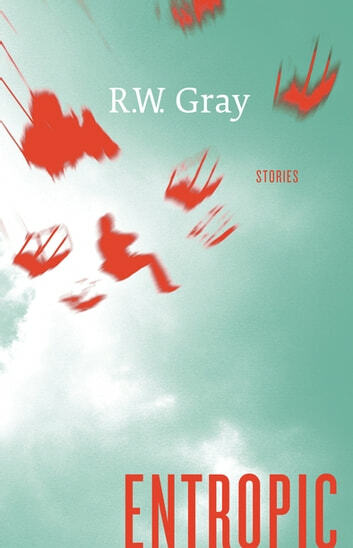 Gray (Crisp) once again finds the place where the beautiful, the strange, and the surreal all meet—sometimes meshing harmoniously, sometimes colliding with terrible violence, launching his characters into a redefined reality. A lovestruck man discovers the secret editing room where his girlfriend erases all her flaws; a massage artist finds that she can alleviate her clients’ pain in more ways than one; a beautiful man invites those who want him to do whatever they wish with his unconscious body; and a gay couple meets what appear to be the younger versions of themselves, and learns that history can indeed repeat itself. "[w]hen Gray is good he's very good, his modern parables peeling off layers of convention to get at subconscious truths, submerged archetypes, and emotions." "[R.W. Gray] treads a fascinating line between realities ... a tender, globetrotting, strongly visual collection." "Entropic is executed with Cronenbergian deviance, raising tingly questions about the ways lack and absence manifest." "Gray's world is populated with unique characters. Although their circumstances are strange, their emotional experiences are completely understandable."